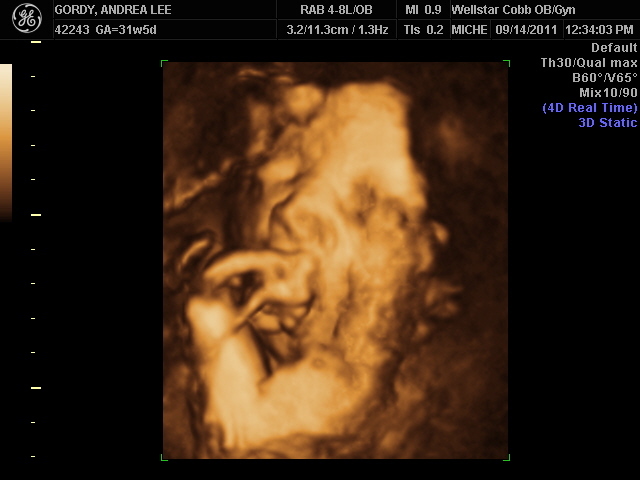 Today was by far the most exciting and emotional day of this pregnancy for me in all 32 weeks. 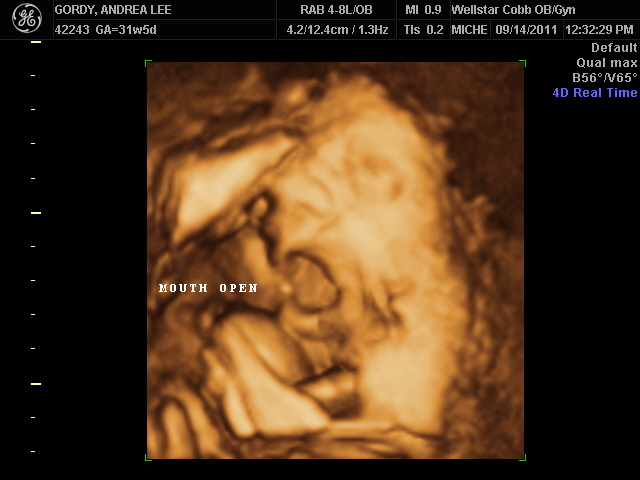 We got to see our precious little boy’s facial features for the first time. 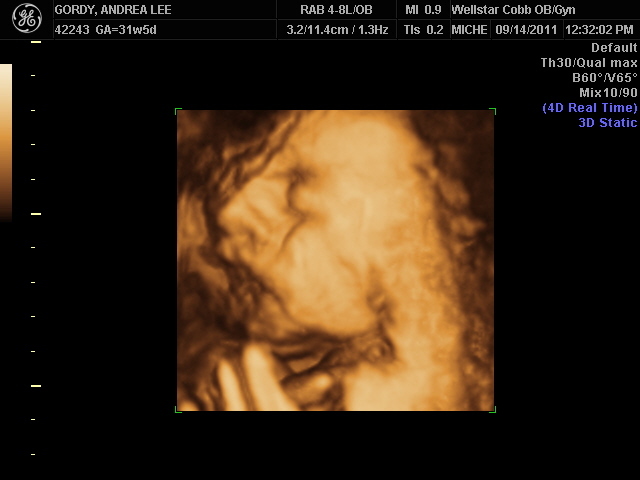 Seeing his little eyes, his lips, his daddy’s nose- just makes me feel like I know him even more. It was such a magical moment- I think even more so than when we found out that he was a boy. 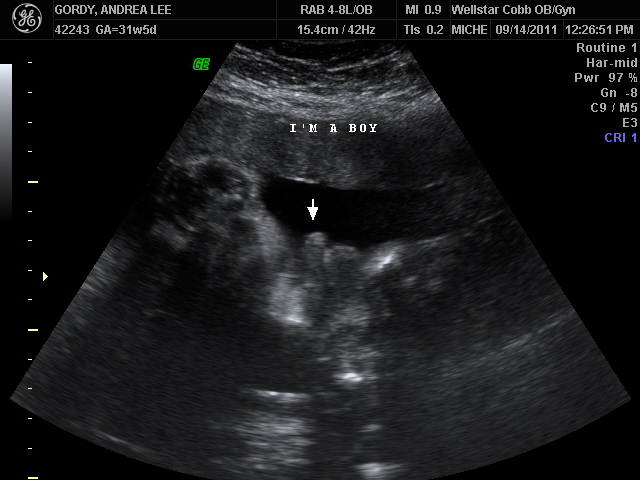 (And, yes, the ultrasound technician confirmed once again that he is very definitely a boy. 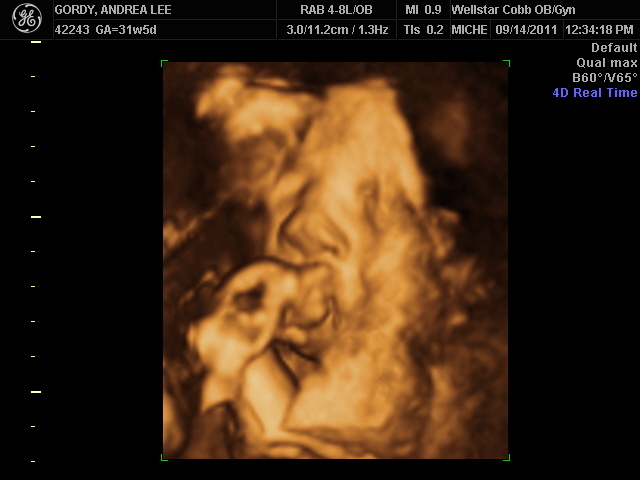 :)) I just cannot wait to see his gorgeous face in real life. How does his entire fist fit into that little mouth? ?